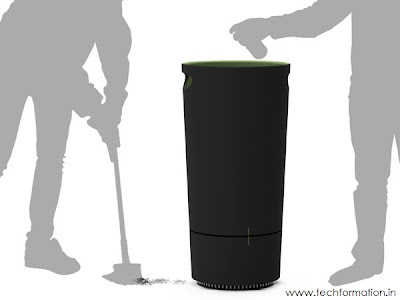 Are you tired of piling all the dust in your room after sweeping? 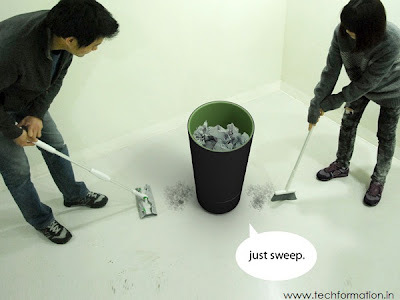 Of course it is some what irritating process, repeatedly bending down and sweeping the floor clean. 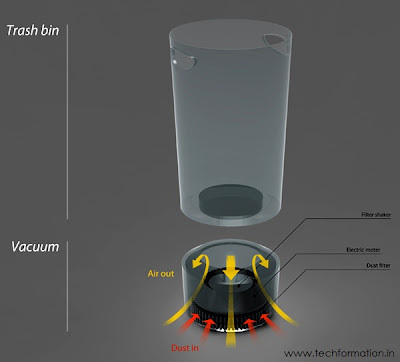 What if the dustbin itself takes in all the dust near to it? 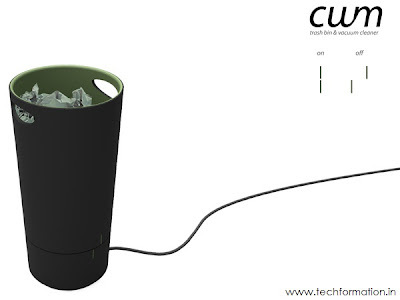 Sounds funny but can be made possible with CUUM. It is a multipurpose household dustbin where a vacuum cleaner is inserted in the bottom. 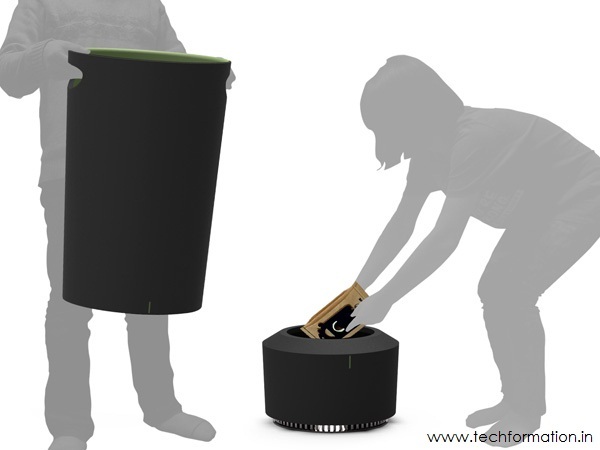 The top portion can be served as trash bin where solid waste can be dumped and the dust will be taken care of by the vacuum cleaner. Just sweep the dust near to it and you can see the dust disappear! !